We do not ask a lawyer if he has read his brief. Here you are asking us to ask the AG if he has read his brief? What sort of language is this? Maintain the decorum.You should have only said these are not my prayers. 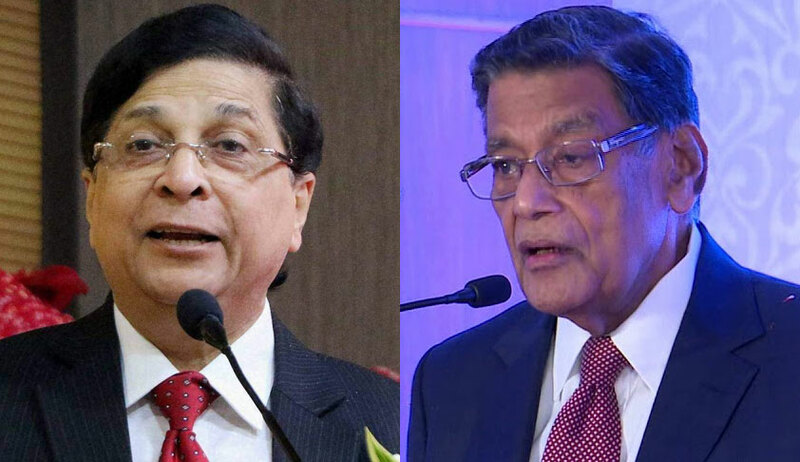 There was high drama as a bench headed by Chief Justice Dipak Misra today abruptly adjourned the hearing of a PIL for a SIT probe into PNB Scam and urgent steps to bring back Nirav Modi to April 9 severely angry at the lawyer for petitioner accusing Attorney General K K Venugopal of reading a wrong brief. The bench was inclined to seek a probe status report in a sealed cover from the AG when the heated exchange broke out between the bench and advocate J P Dhanda who appeared for Vineet Dhanda who is a Mumbai-based advocate and his son. At the outset, Attorney General K K Venugopal told the bench headed by Chief Justice Dipak Misra that " he had raised the issue of maintainability of the petition on the last date of hearing as the investigation was still going on. Venugopal said 19 arrests have been made out of which 8 were public servants, remaining private persons. CJI Misra then asked "Why don't you file a status report in a sealed cover? Venugopal retorted: "What is the justification when private parties come to court like this...this has become a practise..parties coming to court even before probe has started..there can't be a parallel monitoring ..it affects the morale of investigators". CJI Misra: But why can't you tell in a sealed cover what has been done? AG Venugopal: "There is no justification.. unless we have done some mistakes your lordship cannot intervene ..it will have huge public impact'. Justice Khanwilkar to Dhanda: "How do you presume that AG has not read your petition?" CJI Misra: We cannot ask a lawyer if he has read his brief. Here you are asking us to ask the AG if he has read his brief? What sort of language is this? Maintain the decorum.Please..You should have only said these are not my prayers . We are not hearing the matter today. Let it go to April 9.Not today no..What is this happening? In person Vineet Dhanda for questioning "how the AG can say he is opposing" and for insisting on the issuance of notice"
The bench also repeated several times that it was clear that it was a "publicity interest litigation" and the petitioner was "playing to the gallery"
The bench had on February 20 considered lawyer J P Dhanda's submission that the scam was of enormous magnitude and the plea be listed for urgent hearing. The PIL has made Punjab National Bank, Reserve Bank of India and the ministries of finance and law and justice parties. It has sought a direction for the initiation of deportation proceedings of Nirav Modi and others allegedly involved in the banking fraud, preferably within two months. The plea has asked for a special investigation team (SIT) to probe the banking fraud, allegedly involving billionaire jewelers Nirav Modi and Mehul Choksi. It has also asked for a probe into the role of the top management of the Punjab National Bank (PNB). "Issue an appropriate writ, order or direction directing the Finance Ministry and the RBI to frame guidelines in granting of the loan of the 10 Crores and above to ensure safety and recovery of such loans," the PIL said. It has also sought the setting up of an experts body to deal with cases of bad banking debts in the country. Besides, the petition wants framing of rules for the recovery of loans from the defaulters within a stipulated period, even by attaching their properties and auctioning them in the open market. In his PIL. Dhanda also has asked for a direction to fasten liabilities on the employees of a bank for sanctioning loans on the basis of deficient documents and said loans should also be recovered by attaching the properties of such bank officials even after their retirement.